On July 24-25th, JCU hosted visiting scholar Brian L. Ott, University of Colorado Denver. On July 24th, in Aula Magna Regina, students, staff, and faculty viewed the Norwegian film The Bothersome Man, after which Professor Ott led a lively discussion, while the following day he presented a guest lecture in Prof. Carl Burgchardt's "Cinematic Rome" class. According to Professor Donald Winslow, "Rome is one of the most photogenic and amazing places in the world, the perfect location to teach photojournalism." On Monday, July 23, Professor Carl Burgchardt's "Cinematic Rome" class visited Cinecittà, one of the most important sites in the history of world filmmaking. 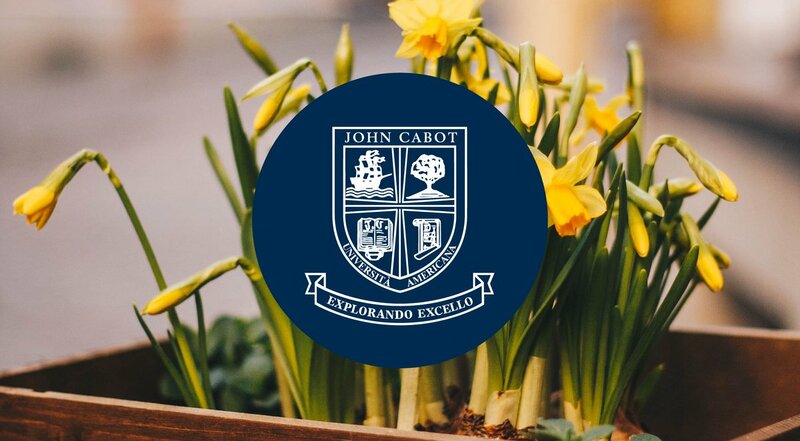 In the second of the John Cabot University Institute in International Communication's Summer 2012 series of events, participants examined the role of rhetoric in political agenda-setting and campaigns. On Monday, July 23, John Cabot University and UNICRI, the United Nations Interregional Crime and Justice Research Institute, launched the Summer School on Human Rights. 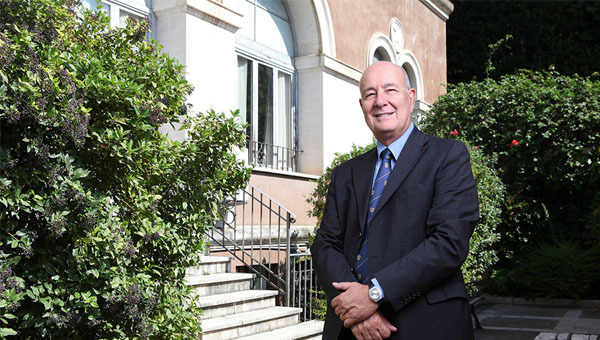 On July 17th, JCU President Franco Pavoncello attended the first in a series of cultural meetings and discussions titled "Panta Rei Lab," held in Rome's Palazzo Braschi, which includes John Cabot University among its sponsors. Read about JCU Graduate in Communications from Chiara De Luca and how her JCU experience helped her be accepted for an MA at St Andrews University! Professor Federigo Argentieri, director of the JCU Guarini Institute for Public Affairs, will attend a panel discussion, scheduled for July 17th, as part of the successful Tabularasa 2012 summer festival, held in Reggio Calabria. On Wednesday, July 11, students, faculty and alumni came together to debate the role of money in enhancing and distorting political communication, in the first of the JCU Institute in International Communication's Summer 2012 series of events. JCU Communications Professor Antonio Lopez today gave a special presentation of his latest book "The Media Ecosystem" (Evolver Editions) at San Francisco's Alexander Book Company. Class of 2012 Alumna Silvia della Torre shares her experience with UBS in Zurich after graduating from John Cabot University. The title of "Friend for Special Merits" is bestowed upon individuals who have made an important contribution to the Academy or the Association. President Pavoncello was recognized for his special role in establishing closer relationships between the Academy and the Italian-American community. Ten John Cabot University students from Italy have recently completed internships at the US Embassy and the U.S. Mission to the UN in Rome.